Jason Omar Holder (born 5 November 1991) is a Barbadian all rounder cricketer and the current captain of the West Indies Test and One Day International (ODI) team. Holder made his ODI debut in January 2013 and Test debut in June 2014. 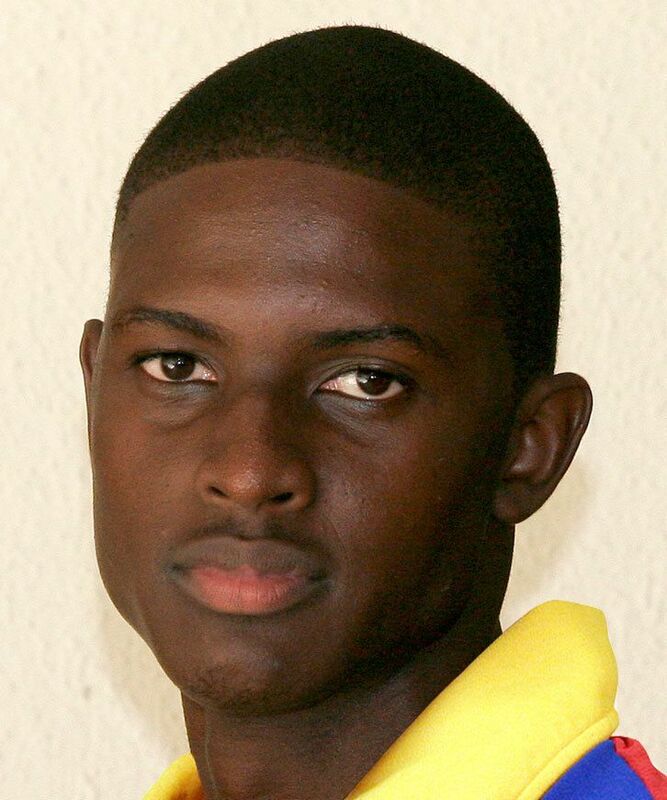 A couple of days after making his international debut, Holder was signed up by the Chennai Super Kings in the IPL auction, at his base price of $20,000. Holder also made his T20I debut against New Zealand on January 15, 2014. He was also given a batting promotion by the Sunrisers Hyderabad, who sent him to bat ahead of all-rounders Karn Sharma and Parvez Rasool. He scored 16 off 12 balls in this match, which included a big six. Holder made his ODI debut on 1 February 2013 against Australia. However, he got his emergence in the ODI against Pakistan where he picked up 4 for 13, although the performance was overshadowed by seven wicket haul by Pakistani Shahid Afridi. He made his T20I debut against New Zealand where he took 2-34 in 3 overs. Holder's first all-round performance in the international area showcased after he, along with Kemar Roach, helped his team to a tie against Pakistan with 19 not out off 9 deliveries in the third ODI in 2013. After good performances in limited over arena, Holder was picked up for the Test squad in 2014. He made his Test debut on 26 June 2014 against New Zealand. He did not take any wicket in the first innings, but bowled economically with four maidens. In the second innings, Holder took his maiden Test wicket by dismissing Ross Taylor for 16 runs. He completed the match with 2 for 50. In batting, Holder scored 90 runs in the match including his maiden Test fifty 52. However, West Indies lost the match by . He was made the captain of the national team in ODI format by the West Indies Cricket Board selectors, by sacking Dwayne Bravo, who previously captained the ODI side. At 23 years, 72 days, he became the youngest ever West Indian captain. On 4 September 2015 he was named as the captain of the Test side for the tour to Sri Lanka. He became the second youngest test captain of all time for the West Indies and 15th youngest of all time for any Test Nation. He led his team to quarter finals of the 2015 world cup where they lost to New Zealand. In the tournament, Holder scored two consecutive fifties both in losing causes to South Africa and India, respectively. He also scored a 26 ball 42 in their last match against New Zealand in the quarter final. Against South Africa in the World Cup, Holder conceded 104 runs, which is recorded as the second worst bowling figures World Cups and also as the worst bowling figures by a captain in a World Cup match. In April 2015, he scored a maiden Test century against England to help secure a draw in the first Test. On 2 July 2017, Holder took his maiden ODI five-wicket haul (5-27), in a low scoring game against India. West Indies batted first and only scored 189 runs. To stay alive in the series, West Indies had to win the match. 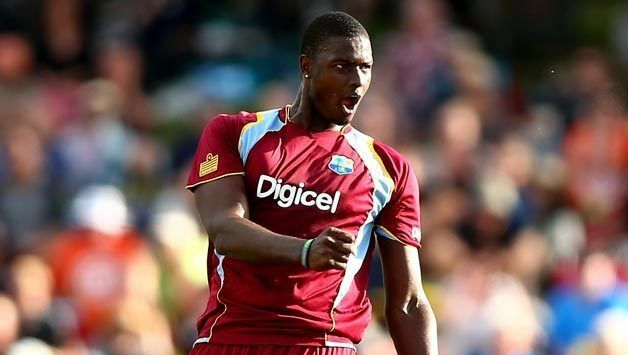 Holder handled his bowlers and himself very well in the match, and the West Indies won the match by 11 runs. For his good captaincy and impressive bowling performance, Holder was awarded the man of the match award.